« Diffusion in population genetics: who was first? This entry was posted on November 5, 2013 at 3:39 pm and is filed under Evolution, Genetics, Populations. You can follow any responses to this entry through the RSS 2.0 feed. You can leave a response, or trackback from your own site. I think it is helpful to recognize a different set of 3 flavors that align more closely with historically important differences in verbal theories of evolution. In the first flavor of evolutionary genetics to be developed (Hardy-Weinberg, Norton’s 1915 allelic selection model), the space in which evolution occurs is an allele-frequency space, in which each dimension is the frequency of one allele relative to an alternative. Evolution takes place in the interior of the space, by shifting frequencies. This started out deterministic and then developed into a stochastic theory. Individual discrete events don’t matter, only large-scale processes. There aren’t any phenotypes. The second flavor is the quantitative evolutionary genetics. The canonical equation is Lande & Arnold’s multivariate breeder’s equation, but the roots go back to Fisher, 1918. Here the dimensions are phenotypic measures (though there is a population-genetic justification). Change is assumed to be infinitesimal, based on a distribution of multi-locus variation that just keeps appearing automagically. This flavor aligns most closely with the verbal theory of Darwinism, in which evolution is seen as an external agent that shapes distributions according to prevailing conditions. The third flavor is origin-fixation dynamics as in K = 4Nus. This is the “molecular evolution” version of evolutionary genetics, invoked commonly in methods for molecular comparative analysis, and in models of adaptation (Gillespie’s SSWM models). Here the unit event is a dual origin-fixation event, and it takes place in a discrete genotypic space. 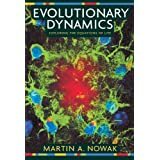 This way of thinking about evolution corresponds to the history “mutationist” view, which reappeared in the 1950’s among biochemists, and then was formalized in 1969. It is helpful indeed. Thanks for the historical flavours. That makes me think on other sort of flavours like philosophical (parsimony vs. probabilistic) or geographical (America, British, continental and Russian traditions).